In addition, these 1.5 μm binder-free, fast flowing, fine porosity borosilicate glass microfiber filters have been optimized for better wet strength/handleability and high temperature (550°C) blank stability; two quality issues known to affect other brands of TSS filters. 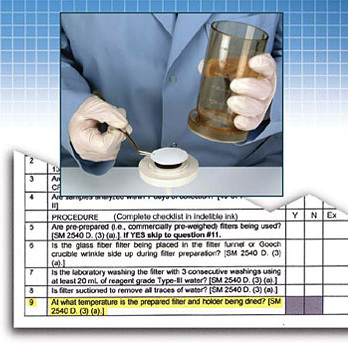 Xenomax TSSFVS Filters are readily available in the popular sizes below for use in a wide variety of CoorsTek® chemical-porcelain labware including Bitumen, Buchner, Gooch, Hirsch, and many other popular filter holders. Other sizes are available upon request. For FREE samples, pricing, availability, and additional information please contact Xenosep Technologies toll free at 1.866.936.6734. *Offer applies only to Product Numbers (Product No.) listed above. Free product only valid for filters of the same diameter. Offer valid on all orders placed on or before December 31, 2010. Mail or Fax dealer proof of purchase to Xenosep Technologies 2 for 1 TSS Filter offer (Fax 973.239.4133) by January 15th, 2011 to redeem free filters. No quantity restrictions. Not valid with other promotional offers or discounts.